"Oh, Nikki, I am heartbroken that you left us too soon. I..."
" I don't know how to put my thoughts in to words. My..."
Nicole Marie Brewster passed away on August 5, 2018 of a sudden cardiac arrest while walking her beloved dog, Derby. Nikki was raised in Colorado Springs, graduated from Thomas B. Doherty High School then after, Colorado State University and obtained her Masters Degree at Regis College, Denver. As a vibrant young girl she took ballet, was a cheerleader for her high school, was on student council and had the world by the tail. In 1988, a catastrophic motorcycle accident changed her trajectory. After years of surgery and rehabilitation Nikki was able to continue her journey, although not with the same vigor as before. She came to dedicate her life to the rescue and protection of animals, particularly dogs. 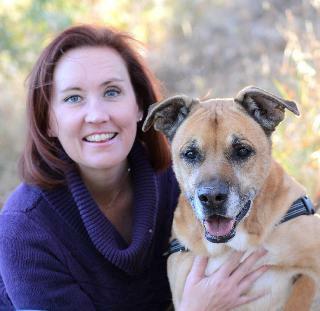 She rescued and welcomed several beloved pets into her life and her home over the years and it is fitting that her end came while walking her beloved Derby, who lived a day longer than she did. Nikki is survived by parents; brothers, Aaron (Kelly) Brewster and Zachary Brewster; several aunts, uncles, cousins, and three new second cousins. Memorial Mass, 11AM, Saturday, August 18, 2018, St. Paul Catholic Church, 9 El Pomar Road, Colorado Springs, Colorado 80906. Graveside Service to be held at a later date in Great Falls, Montana. Memorial contributions in Nikki's memory may be made to the animal shelter of your choice.